I still can’t believe I’m recapping the first session on Saturday, March 22, 2013 at Hello Etsy. It seems even more surreal that I write this on August 1st, almost 4.5 months later. 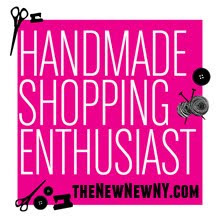 I may be recapping Hello Etsy 2013 until the next event. I’ll try, for your sake, to not drag it on that long. In our last recap, we discussed an animal researcher’s take on economics. Dr. Laurie Santos showed us how emotions and logic come together and are both similar and different when our closest animal relatives handle money. Her presentation was interesting, funny at times, and enlightening on how money can change everything we think we know. It was a great segue to the next segment in that session titled “The Fragile Economy” by financial journalist and producer, Alex Blumberg, host of NPR’s Planet Money, hit the audience with some harsh realities with data he’s collected while spending his career investigating the myriad of pieces and processes that comprise our economy. More so, he made this gal, who used to rely so heavily on credit cards, see the economic world in a completely different way. I apologize for the bad Instagram photo here. 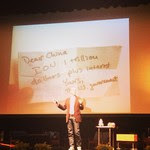 But this was Alex Blumberg with an IOU from the US Government to China. Hilarious! Did you know that the USA owes $12 trillion to the rest of the World? Don’t worry. I didn’t know that either. I knew we were in massive amounts of debt thanks to media reports, but I had no idea it was that large. Did you know that $4 trillion is owed to retirees through Social Security? Yep, another issue I was aware of, but didn’t realize the largeness of that one either. Did you know that we’re at 100% GDP right now? Even scarier – In 20 years more money will be going out to people retired instead of more money coming in to build the reserve. Meaning that going forward, money is going to be added to the deficit. Mr. Blumberg then went on to discuss the situation with saving, lending, and credit cards. This, readers, is where my heart skipped a beat and I felt a twinge guilty. In fact, I want to apologize to all of you who have helped me in my past years live a lifestyle of overabundance that I couldn’t afford. I am so sorry. And believe me when I say that I am working on correcting the situation and paying you all back for your help. At this point, Mr. Blumberg said that we are always lending our money. Our savings are not our savings; they in fact become money that is lent to other people therefore making the fragile economy. In other words, we are all part of this gigantic game of saving and lending. Credit cards are a great example of this. Credit cards allow people to overspend. When someone who has saved their money issues credit card spenders money to borrow so they can buy something they can’t afford. This is why I just apologized earlier. That was a sincere apology because I had no idea when I was 18 and signed up for credit cards to help the George Washington University’s Softball league raise money for their team, that all the money I charged on them was really money borrowed from someone else. Never crossed my mind. And then he gave the following bomb, at least I thought it was a bomb: Any time you borrow money, you are speculating. What we need is true speculation, not fake speculation. True speculation involves a more realistic understanding of our economics, both on a large scale (Country and World) and a personal level (bank accounts, wallets, savings accounts, and retirement funds). As he continued, he discussed how all of this has created a lull that people have fallen into that the wealth in the World is a safe - that our economy is safe, but all the wealth that we see if in fact fake. We create and place the societal value of wealth and right now, we cannot continue in this way if we’re going to fix the economy. Another way of considering this is, confirmation biases are dangerous and they are one of the most dangerous practices out there.” Pretty much the culture we find ourselves in is one of the most dangerous. SCARY! Okay, so enough of the scary talk. How do we change this? I think about this because it’s essentially the Etsy global market place. It is the idea that we can shape the economy and make deep impressions with goods that promote engagement and connection between two individuals, the customer and the maker. It is largely based on appreciation and the moment, not the future, and not on borrowed terms or money. When I look at this as an artist and maker, I am aware that my invitations may cost a small fortune for some, but the value behind them is great. I spend hours working on an entire order, from the minute I exchange an email with the customer to the finale, which can be via mail, or in-person, drop off. In many cases, I believe that my customers are my friends. As a matter of fact, a customer I am finishing up a custom order with offered me a table, she and her fiancé no longer need, because I recently moved into an apartment with no furniture; an amazing exchange of kindness and an act of friendship. More importantly, I see the transaction as representation of combined art. While I get paid for my time, as any artist should, I feel wealthier for the experience – at knowing that my work is going out into the world with love and happiness and that that will inspire and maybe even cheer up someone out there. That to me is wealth and because of that, I look at my materials and how they are made (spurred me to go to Japan to learn paper making, but more on that at a later date), I look at my impact on printing, I look for alternatives for glue, etc. I’m not saying we should all be this way, but I am saying that if we look at our work, motivations, and our desire to change the economy and how the current economy operates, we can start with our own money habits and in our business habits, too. This is largely why, I have stopped using credit cards and why I’m more inclined to stash my cash in a box under my bed (okay, I’m not doing that yet, but I’ve considered it on several occasions). It is also why I am trying to figure out how best to understand my understanding of my own economic status and how that will affect the greater economic fabric. That is how I believe we can change the conversation on the economy. Instead of pointing fingers, I say we apologize to each other for taking way too many risks and get to the heart of what we value as entrepreneurs, makers, business owners, motivators, customers, workers, and as a global community. Seems idealistic, but maybe that will help us see the enormity of 12 trillion dollars and own up to finding a solution. Call me an idealist, but I believe the not-so-secret recipe in fixing most problems is ¼ cup self-reflection+ ¼ cup self-awareness + ½ cup working with others for the greater good. If you’ve got any other recipes you’d like me to consider, or share, please put them below. Mr. Blumberg’s presentation really got to me and I’d love to read/hear your thoughts. Next time, we’ll recap session two. We're getting there, friends!